Mel Greaves’ early mentors – at University College London in the 1960s, included Professor Peter Medawar (immunology), Andrew Huxley and Bernard Katz (physiology), and John Maynard Smith (evolutionary biology). 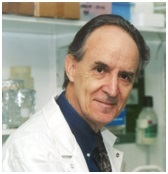 After postgraduate research in lymphocyte biology at the then Middlesex Hospital (Professor Ivan Roitt), Stockholm’s Karolinska Institute (Professor Goran Möller) and the National Institute for Medical Research (Professor Avrion Mitchison), Mel returned to University College London before joining the Imperial Cancer Research Fund (Lincoln’s Inn Fields, London) to focus on leukaemia biology. He developed antibody-based flow cytometry methods to provide the first description of the biological subtypes of childhood leukaemias and their relationship to both normal developmental lineages and to differential clinical outcome. This led to standardised diagnostic tests integral to clinical trials and the selective allocation of different therapeutic regimes – the beginnings of personalised medicine. Since moving to The Institute of Cancer Research in the 1980s, he has focussed on the natural history and evolutionary biology of childhood acute lymphoblastic leukaemia. This work led to the discovery, principally via the analysis of leukaemia in twins, of the prenatal origins of the disease and the elucidation of an evolutionary explanation for a role of infection in its aetiology. His personal perspective on this experience with children’s leukaemia is described in his book ‘White Blood. Personal Journeys with Childhood Leukaemia’ (World Scientific Publishing, Singapore; 2008). Long a vocal advocate for applying an evolutionary perspective to cancer, in both its causation and biology, his ‘popular science’ book on this topic ‘Cancer. The Evolutionary Legacy’ (Oxford University Press, Oxford; 2000) has been translated into five languages and Braille. Mel is a strong supporter of efforts to increase the public understanding of science and strives to improve the literacy of young scientists. He believes that science writing, especially when directed at a general or lay audience, is more engaging when in a narrative or conversational style and infused with some humour – to compensate for the seriousness of it all. Mel lives in Barnes, London with his wife, Jo. They have two children and three grandchildren. He should be retired by now, but isn’t, citing deafness to advice, European legislation, quick feet, and, primarily, addiction to science as excuses. He has published rather a lot of (too many?) papers and has been given some nice awards and is very happy that colleagues from all over the world remain good friends. He insists that his best experiment and paper is definitely his next one. Dr Gerlinger is an oncologist at the Royal Marsden Hospital where he is treating patients with gastrointestinal cancers and leading the Translational Oncogenomics Laboratory at the Centre for Evolution and Cancer at The Institute of Cancer Research, London. In his clinic, Dr Gerlinger regularly sees patients whose cancers stopped responding even to the best available treatments. His research focuses on understanding why cancer drug resistance occurs so frequently and how it can be prevented. One of his major discoveries was that individual cancers can harbour multiple subclones, which differ for example with respect to their sensitivity to cancer drugs. He further showed that this heterogeneity is the result of Darwinian evolution. Together with results from other laboratories working on numerous cancer types, this catalysed a paradigm shift: cancer is now fundamentally regarded as an evolutionary process. He is currently developing new technologies to track intra-tumour heterogeneity and cancer evolution in patients and researching new treatments which should hinder the ability of cancers to evolve resistance. This should lead to more efficacious and personalised cancer drug therapies. Dr Sottoriva is based at the Centre for Evolution and Cancer at The Institute of Cancer Research, London. His research focuses on using multi-disciplinary approaches based on high-throughput genomics and mathematical modelling to understand cancer as a complex system driven by evolutionary principles. The goal of his group is to identify those patient-specific rules that regulate the development and progression of the disease, to inform prognosis and novel therapeutic options that are tailored to the need of the individual cancer patient. Integrating cancer genomic data with mathematical models of tumour evolution provides a new powerful way to understand cancer biology and potentially make predictions about the future course of the disease. 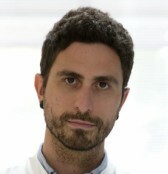 Dr Joshua Schiffman is a paediatric haematologist-oncologist at Intermountain’s Primary Children’s Hospital and Huntsman Cancer Institute at the University of Utah. He attended the Brown University School of Medicine (1996-2000), followed by paediatric residency (2000-2003), chief residency (2003-2004), and haematology-oncology at Stanford University (2004-2007). Dr Schiffman has been on faculty at the University of Utah since 2008, where he was quickly promoted to Professor in Pediatrics and Adjunct Professor in Oncological Sciences. Dr Schiffman holds the first Edward B. Clark, MD Endowed Chair in Pediatric Research. He is the Medical Director for the High Risk Pediatric Cancer Clinic, where he cares for children and families with inherited cancer risk, and is also the Education Director for the Program in Personalized Health Care. Dr Schiffman runs a translational genomics laboratory at Huntsman Cancer Institute to research which children develop cancer and why. He works closely with epidemiologists, population scientists, and molecular biologists to answer this question. 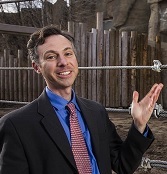 Most recently, Dr Schiffman recognized the power of comparative oncology to advance cancer research. Teaming up with collaborators from across the country, the Schiffman Lab is now actively involved in comparing the genomics and functional biology of different species across the animal kingdom to guide cancer research. 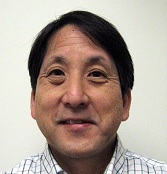 Darryl Shibata is a Professor of Pathology at the University of Southern California Keck School of Medicine in Los Angeles, California. He is also a member of the Norris Comprehensive Cancer Center and on the External Advisory Board for The Centre for Evolution and Cancer at The Institute of Cancer Research, London. He has a long standing interest in reconstructing from genomes the somatic cell evolution of normal and human cancer tissues.